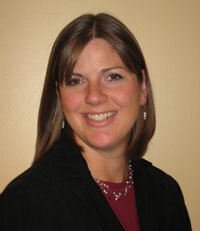 Dr. Erica, sole practitioner at Northern Family Chiropractic has lived in the Brainerd Lakes area all of her life. She received her chiropractic degree at Northwestern Health Sciences University in Bloomington, MN in 2003. Following graduation, Dr. Erica continued her education and earned a certification in pediatric care from the International Chiropractic Pediatric Association. Dr. Erica enjoys treating a full spectrum of patients including women and children at her clinic and seeing the changes that take place for the entire family. In her free time she enjoys spending time with family, fishing, and watching the Twins and Wild play.